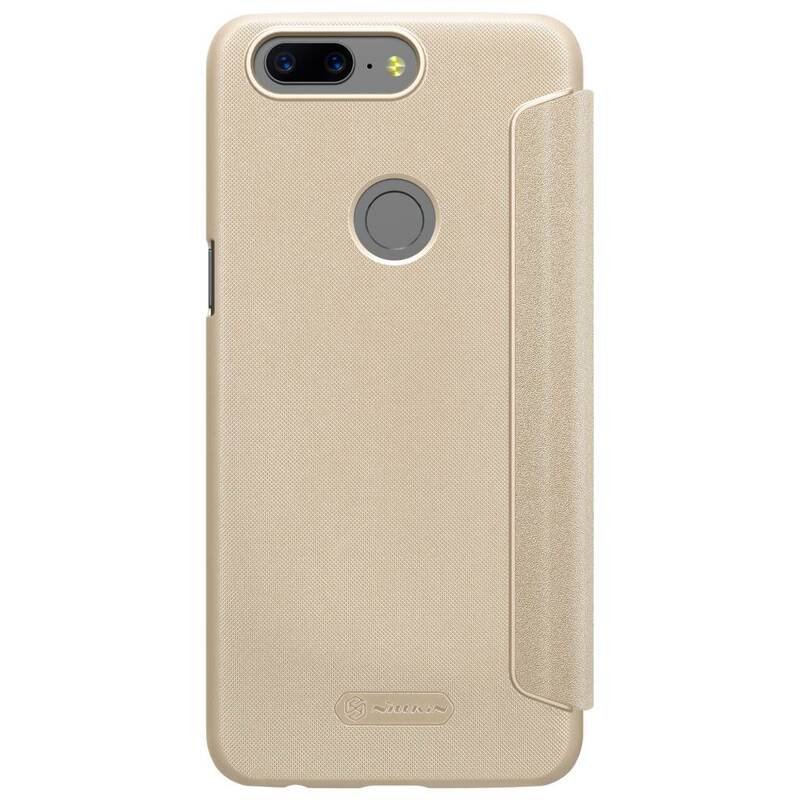 The Nillkin Sparkle Flip Case Gold OnePlus 5T is a beautifully designed flip case with a slim design, and shimmering finish and ultimate fit that protects your OnePlus 5 against all external influences. 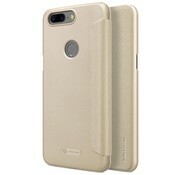 Are you looking for a sparkling flip case that offers functionality in addition to design? 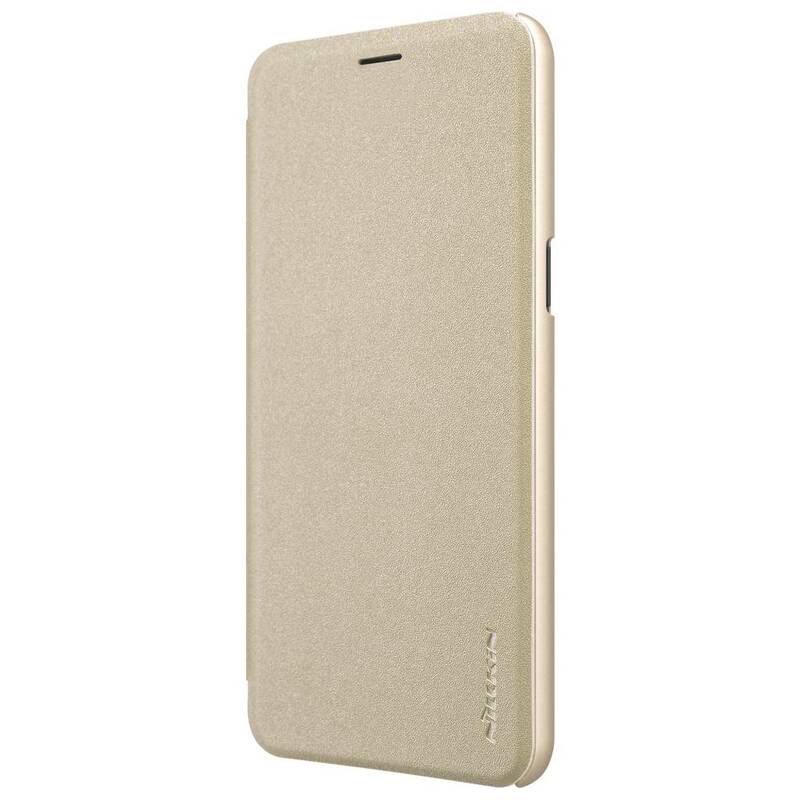 Then here at OnePlus-shop.nl we have the perfect case for you. 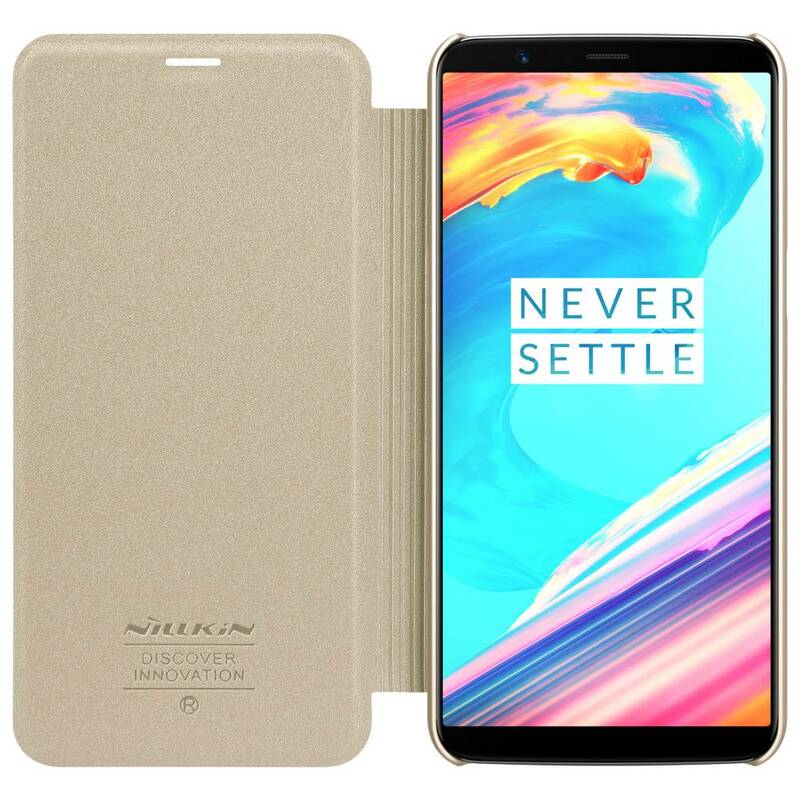 The Nillkin Sparkle Flip Case Gold OnePlus 5T is a beautifully designed flip case with a slim design, and glittering finish and ultimate fit that protects your OnePlus 5T against all external influences. 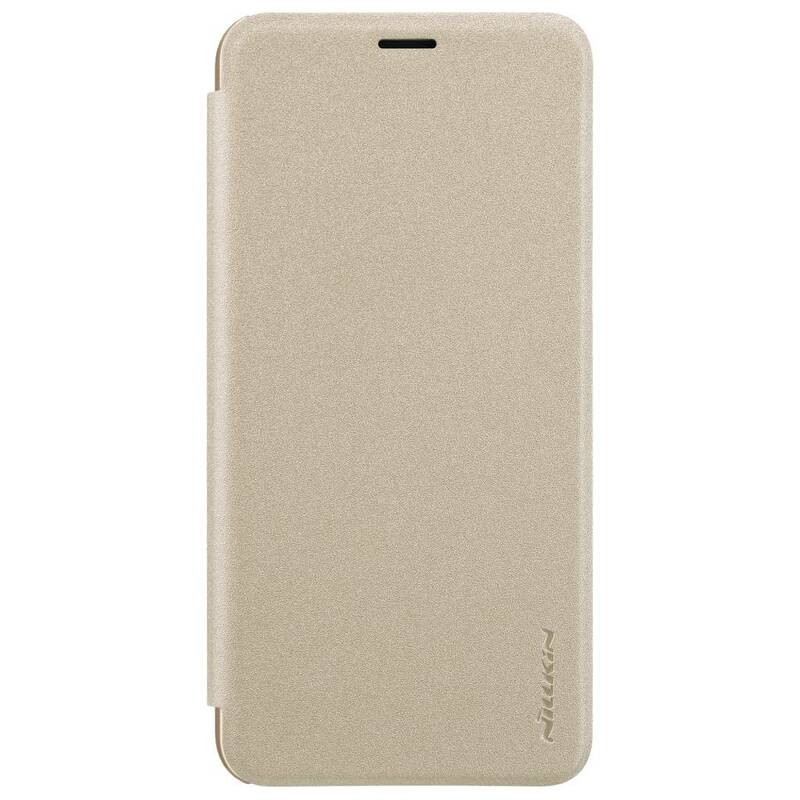 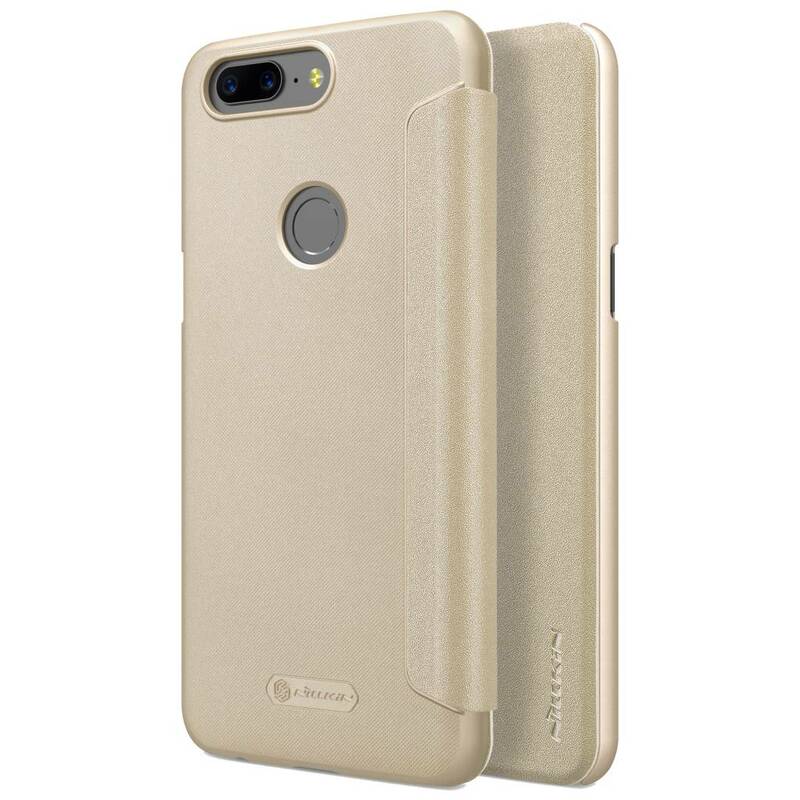 The back is made of PU leather together with PC plastic to give the flip case the right strength and protection and also ensures that your phone fits perfectly and can not be damaged. 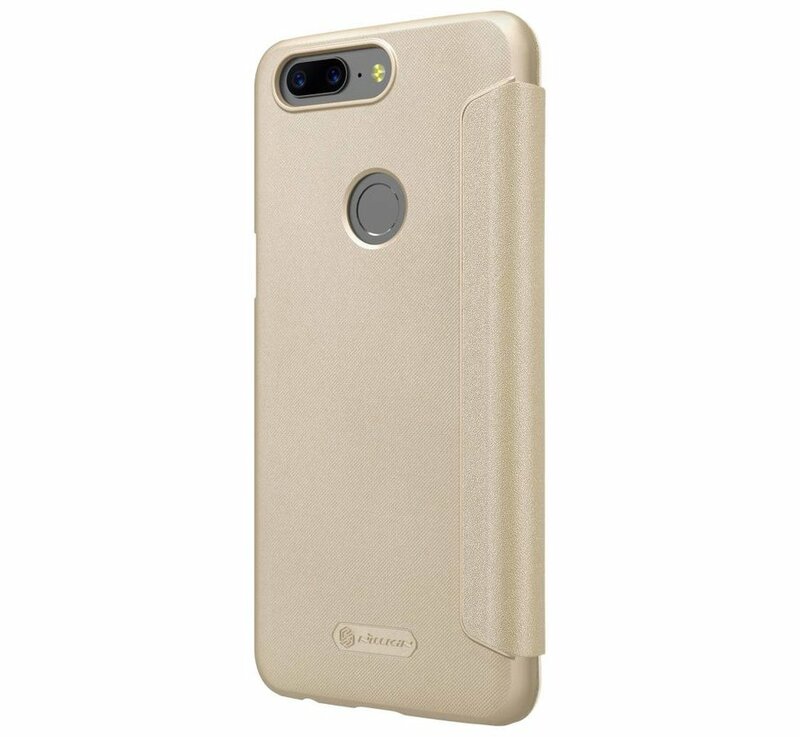 The side that connects the front and back together is made by hand which ensures a durable and strong fastening that lasts for a long time. 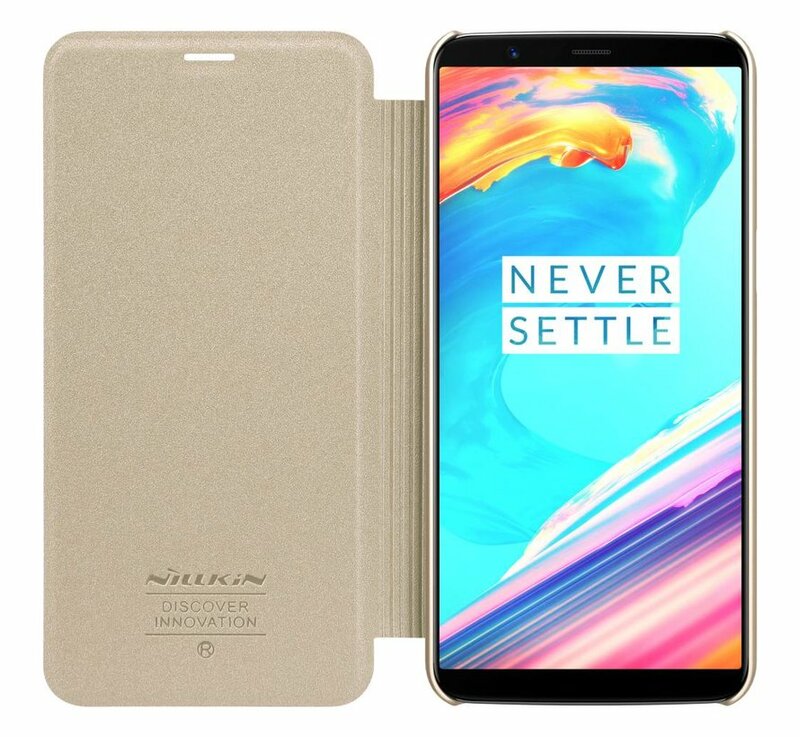 As a finish, the Nillkin Sparkle Flip Case Gold OnePlus 5T has been chosen for a pearl shine paint which in addition to the 'Sparkle' effect also ensures that the case stays in the hand. 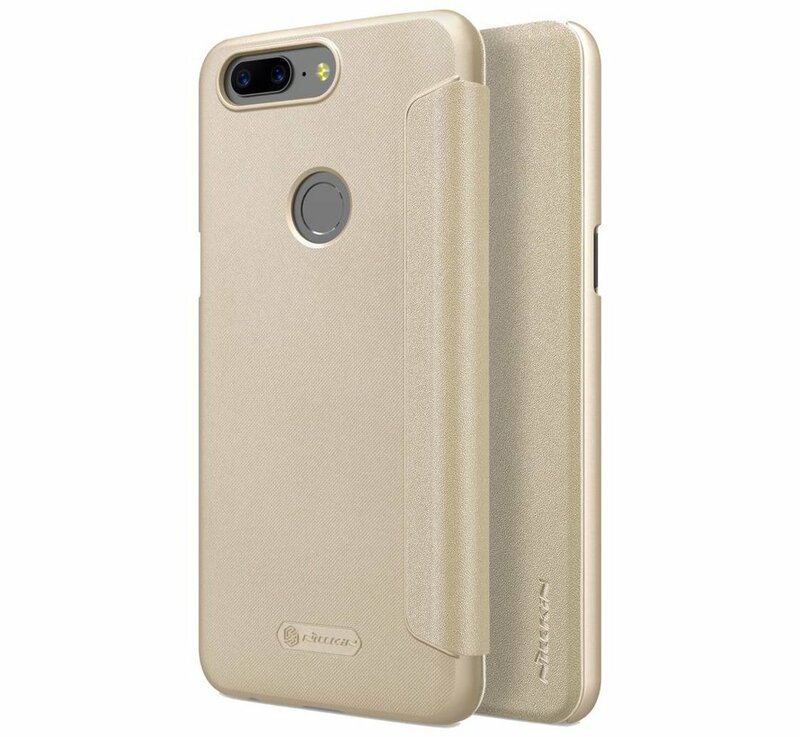 Of course he has recesses on the inside for all the buttons and connections and what is very useful is that when you close the flip case he automatically switches off your screen and switches on again when you open the case again. 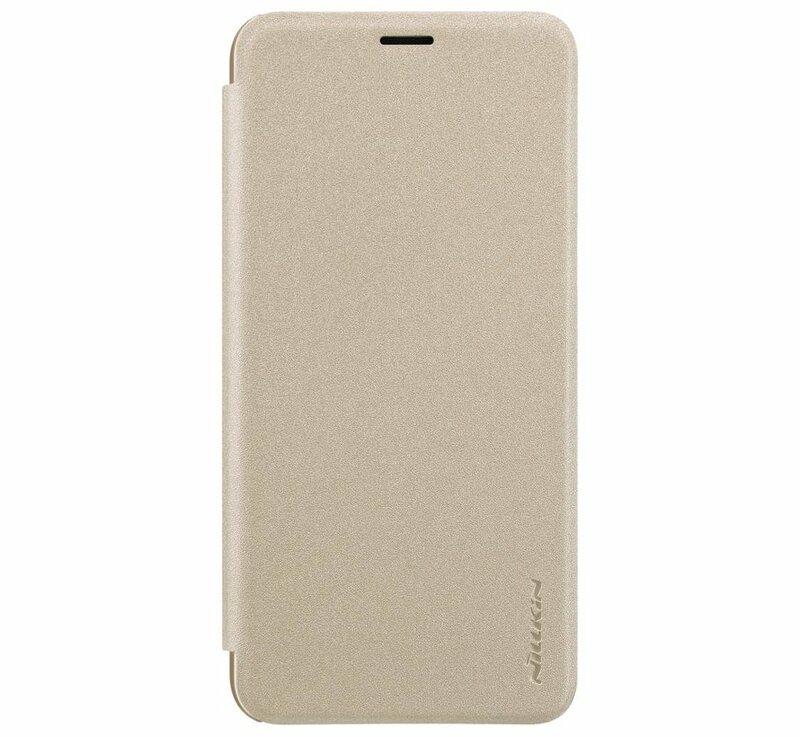 This ensures a substantial extension of the battery life without you having to worry about it. 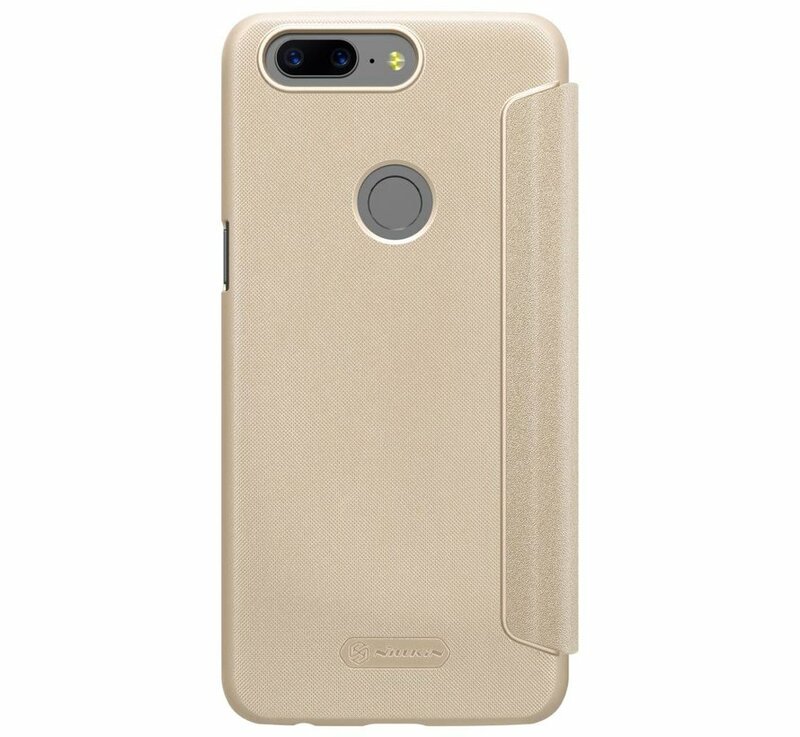 Need total protection? 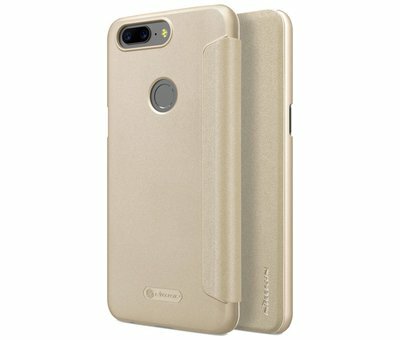 Then look below at the bundles with a 9H Glass Screen Protector for the OnePlus 5T. 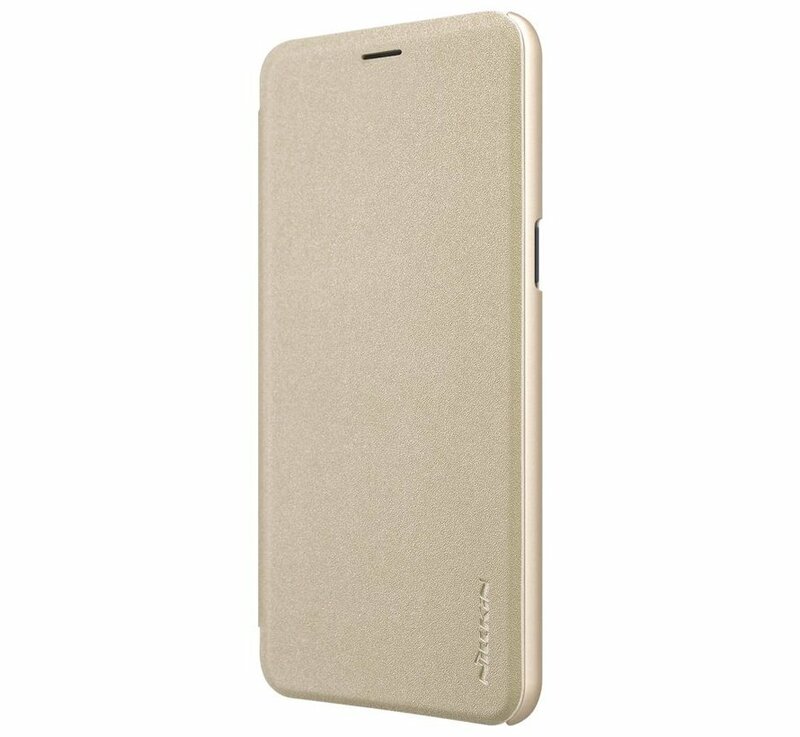 This protects your display against scratches, bumps and greasy fingers or dirt.